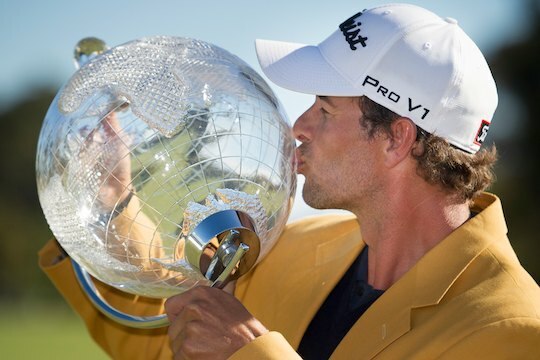 Adam Scott has leapt at confirming his intentions to defend this year’s Australian Masters title on the famed Royal Melbourne course in Melbourne. In the goal of moving the tournament about Melbourne, the event is heading to the Alister McKenzie designed course and being staged from 14th to 17th November, 2013. Scott continued an unbroken run of having captured at least one tournament a year, since turning pro in 2000 by denying England’s and defending champion, Ian Poulter by four strokes and add a maiden Australian Masters win to his 2009 Australian Open triumph. “It’s a great decision and I’m very happy the tournament is going to Royal Melbourne this year,” said Scott from Florida where he was competing in the Tampa Bay Championship. This year will mark the 35th anniversary of the Australian Masters and the first time the event has been staged at The Royal Melbourne Golf Club. Royal Melbourne has played host to a number of major tournaments including 1998 and 2011 President Cups and last year’s Australian Women’s Open.